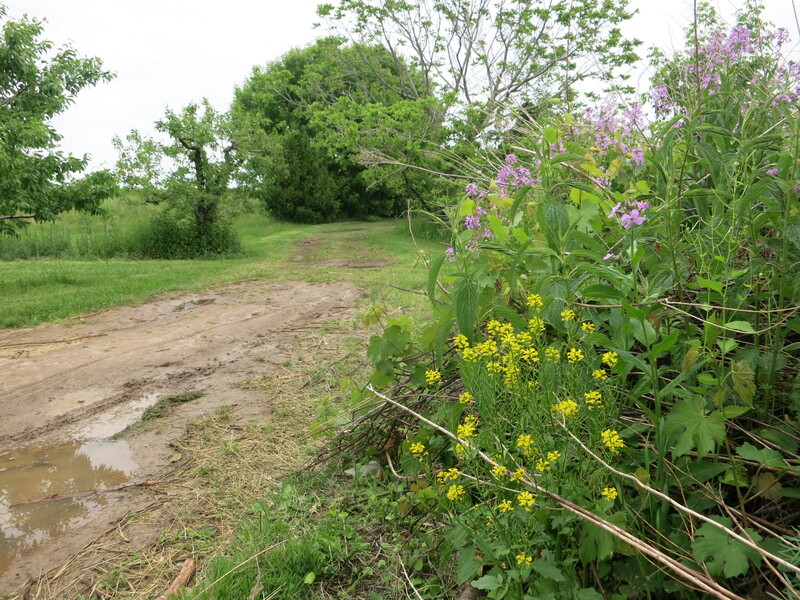 Fifty millimetres or almost 2″ – that’s how much rain fell on our farm this past weekend. Things had been getting quite dry. 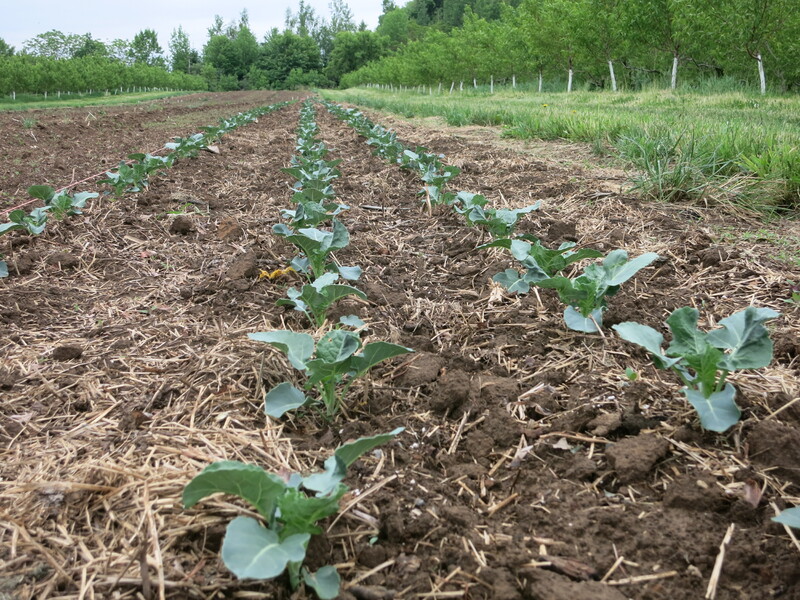 The vegetables that we seeded were growing ever so slowly – instead of reaching up for the sunshine, they were stretching their roots down in search of moisture. 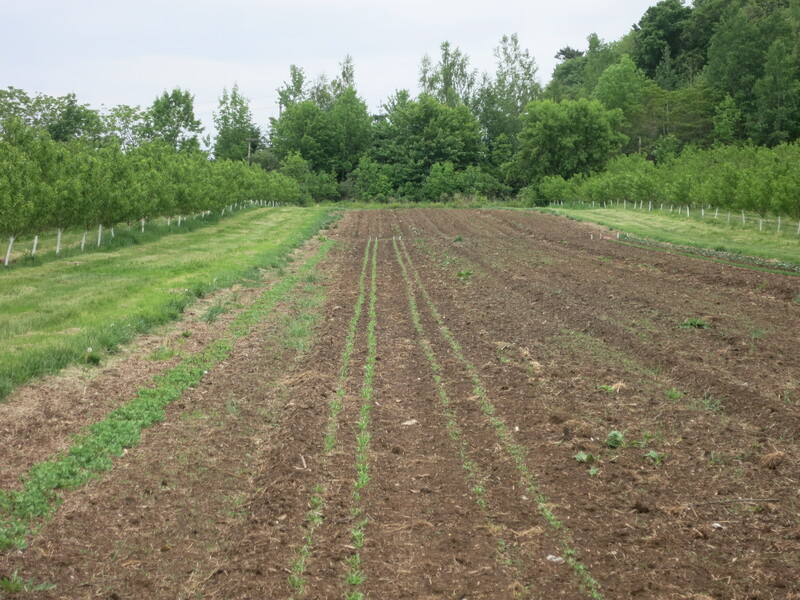 The transplants that we set into the ground were languishing – not only was there little wetness for their roots to soak up, but the strong, hot winds we experienced for much of last week were sucking the moisture out of their leaves & stems. Only the weeds never hesitated but continued to flourish. That all changed with the rain. The vegetables have sprung to life & grown noticeably. 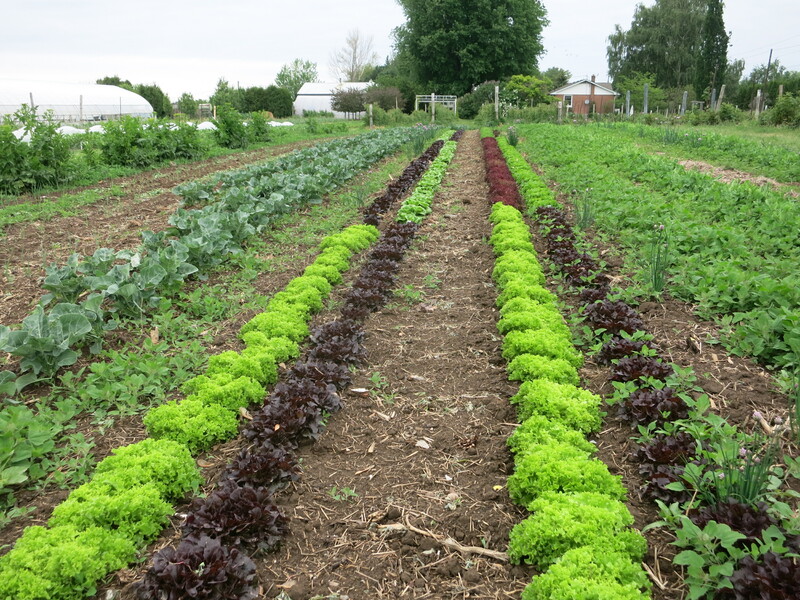 The transplants – tomatoes, zucchini, broccoli, lettuce, onions – look refreshed & rejuvenated. It does not take long to see the results of the rain. And the weeds have never hesitated but continue to flourish. 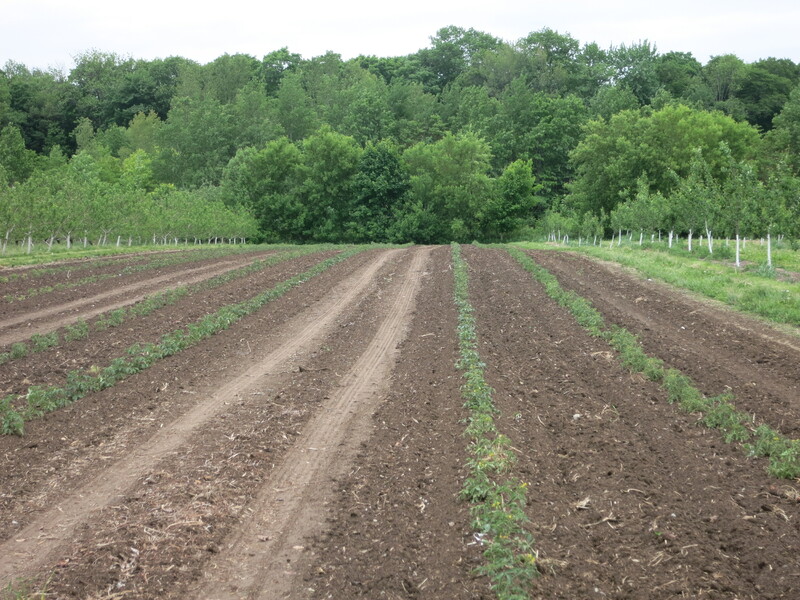 These rows of spinach & beets were barely seen last week. 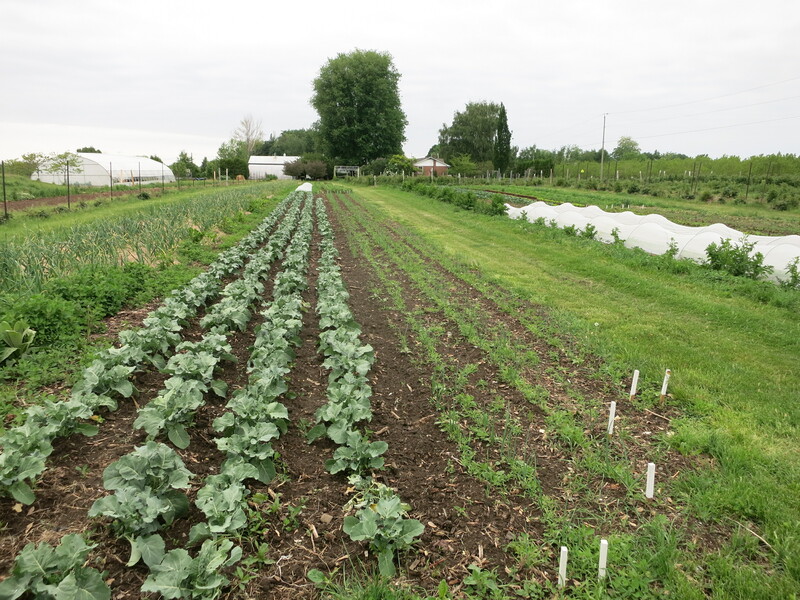 Broccoli & onions … and weeds! Nice to see a puddle again. Everything is lush & green. It’s good that the vegetables are growing because it’s CSA time. The first week of CSA is always exciting! We get to see familiar faces & meet many new people. It’s the start of a great season! Spinach, radishes, pea shoots, plants. The spinach is looking good & tasting good! It has been rinsed to get some of the mud (thanks to the weekend rains) off, but you will want to wash it again. Store it in a plastic bag in your fridge crisper. What will the radishes taste like? The heat last week promised to make them spicy & strong, but maybe the rain & cooler temperatures have cooled them down? They will store well in a bag in the fridge – remove the leaves first. If they lose their crunch after a few days, soaking them in ice water for 20 minutes will restore crispness (it will also make them milder tasting though). 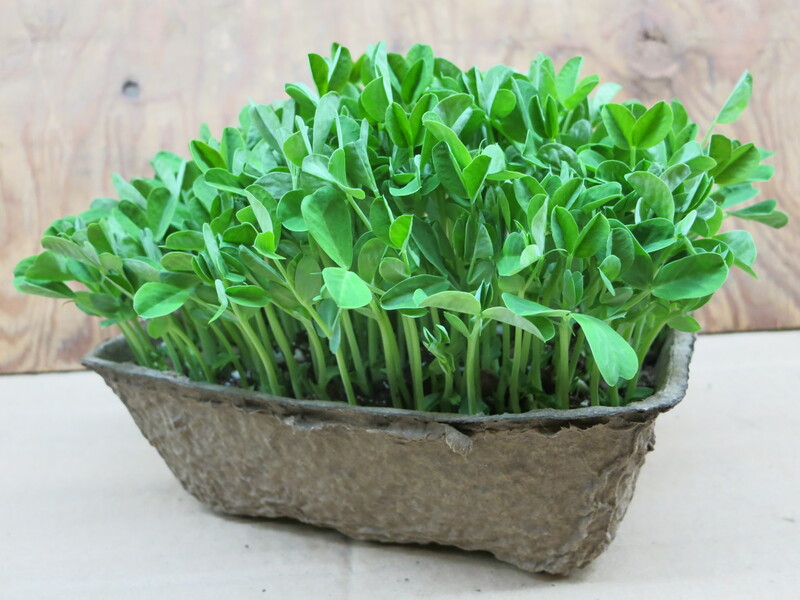 Pea shoots – excellent in salads or stir fries. Grow them outside in partial shade or inside near a window. Keep them well watered & use as needed. 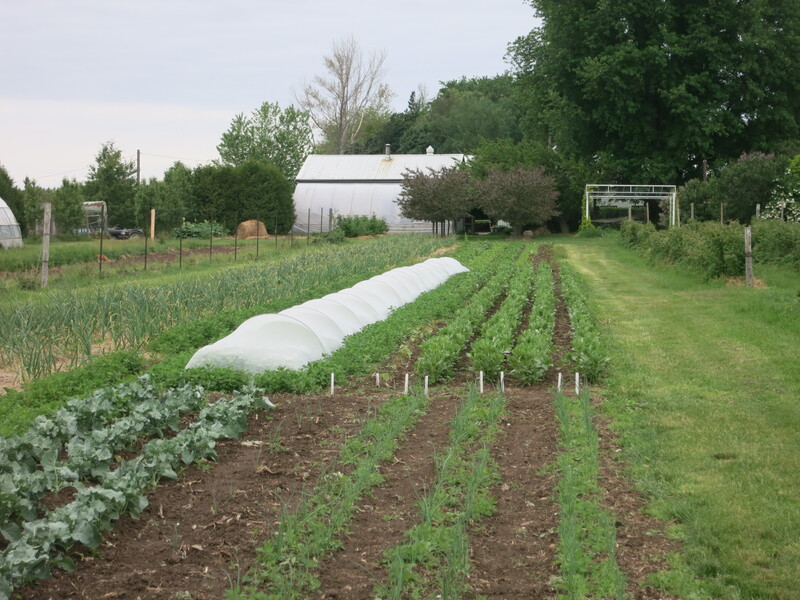 The radishes are hiding under the white netting – to protect them from insects that chew the leaves & burrow into the roots. Pea shoots – healthy & delicious. 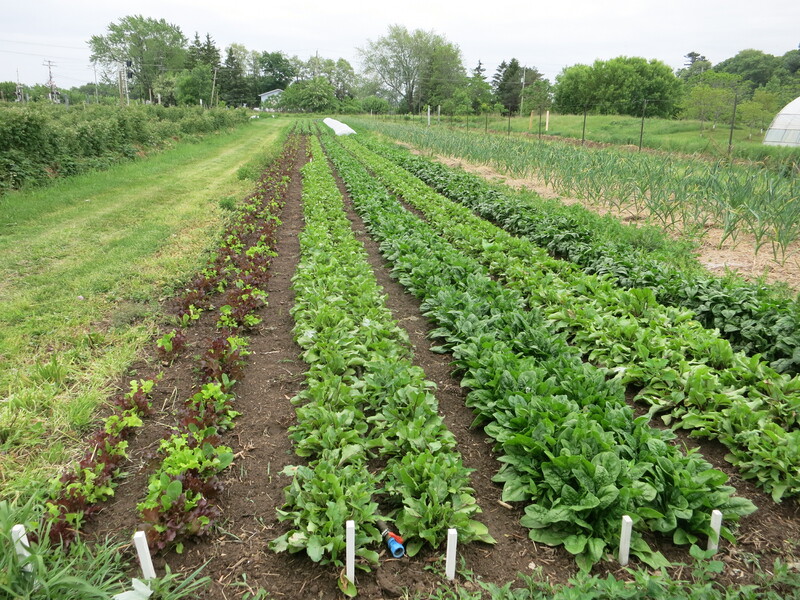 Colourful lettuces – probably in your CSA box next week. 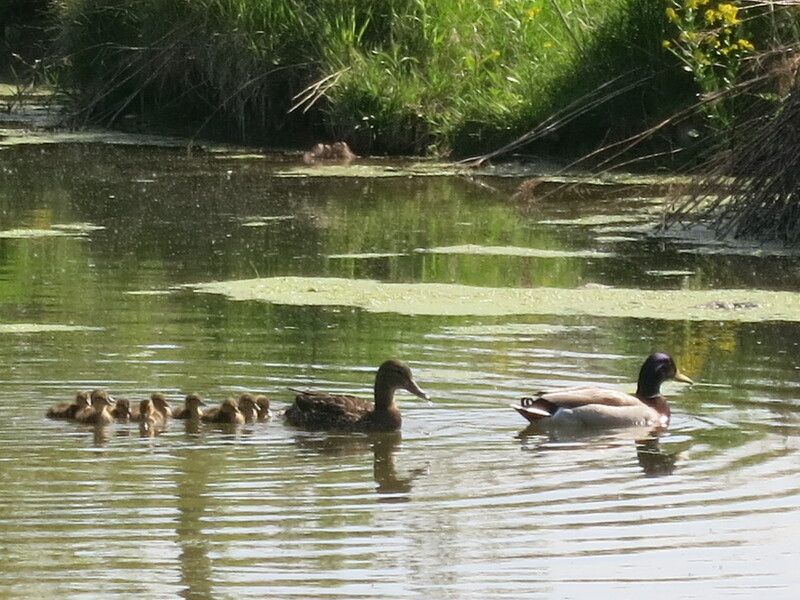 A family of ducks has taken up residence in our pond, and we are enjoying them hugely! Looking forward to seeing everyone at CSA pick-up this week!